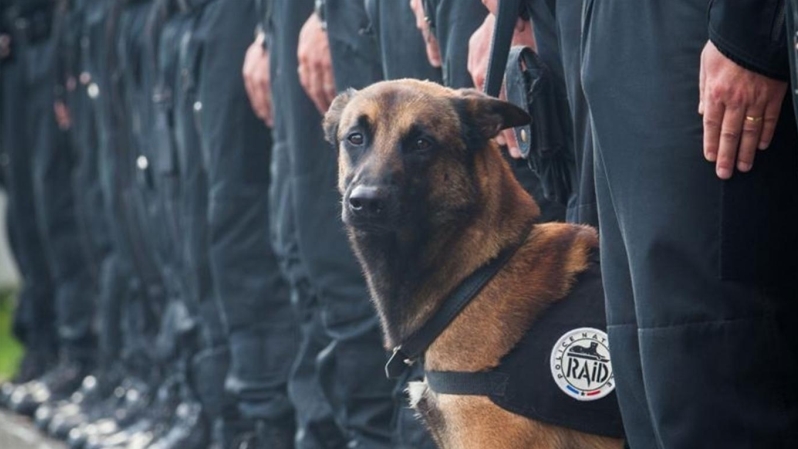 French police have named the dog who died in the police terror raid in Saint-Denis today as Diesel. In a tweet, Police National said the Belgian shepherd dog, or Malinois, who was “killed by attackers”. 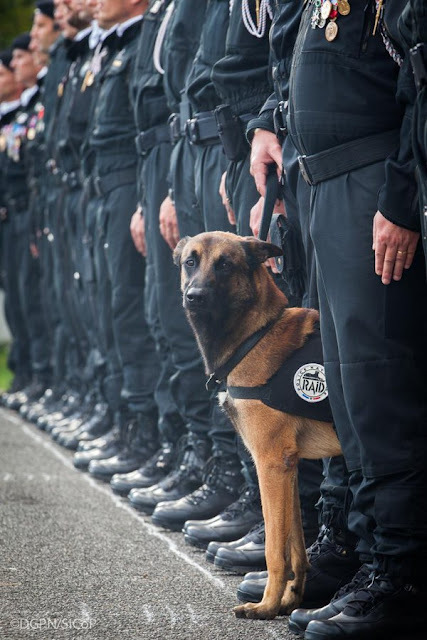 "Diesel, a seven-year-old Malinois, police dog for RAID [France's anti-terrorist police unit], was killed by terrorists in the ongoing operation," they wrote. It is understood the dog was the first to be sent into the apartment where three terrorists were believed to be hiding out. It is the touching account of one brave dog who was with his owner on that day and killed while protecting his owner. Tributes have come in across the world from people applauding Diesel, the dog's handler and police for their bravery. There have been many accounts of the heroic loyalty of the dog. Many have been written down, others remain etched in the hearts of those who have loved the dog. These accounts have come from all over the world, from all walks of life and in every type of scenario possible. Dogs have many times been known to alert and wake their owner during a fire in the home. They have chased away attacks on their loved ones from both human and beast. Dogs have bravely walked the paths of danger with law enforcement officers and soldiers alike in the battlefields at home and abroad and many times have laid down their lives without a thought to their own safety. 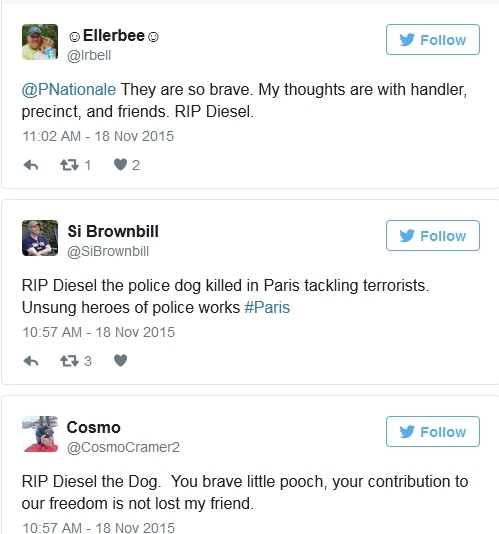 Responses to "Police Dog Named Diesel Dies Heroically In Raids Hunting For Paris Attackers"
God bless you Diesel, R.I.P. 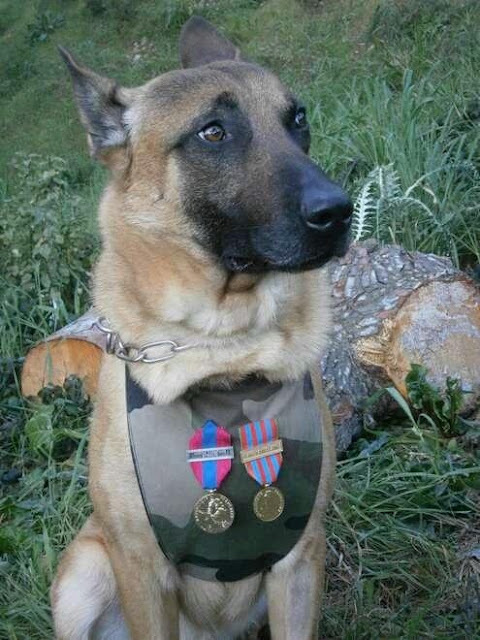 You're a true Hero Diesel... R.I.P. R.I.P., dear brave heroic Diesel. So sorry for your loss. RIP DIESEL!!! So sorry for the loss of your precious Diesel...May God be with you. He crossed over the Rainbo bridge. he and his partner will be reunited when he dies. the Pope did say pets go to heaven. RIP Deisel bless , you gave such loyalty and courage for your handeler/friend and those you protected , run free now deisal till you meet your handeler/friend and family again , be happy up there at such a sad time but you will be remembered always . RIP Deisel. Prayers to the owner and handler. Thank you Diesel, you may not have signed up for this but you served your country well. I salute you, your handler and all of the unsung 4 legged heroes who gave their all without even knowing what they're giving to. Your tour is over, fly high soldier. RIP Sweet DIESEL!! GOD BLESS YOU OUR PRAYERS ARE WITH YOU ALL!!!! God bless him and rest in peace Diesel knowing that you did a great job! Prayers to his handler and fellow officers. Such a beauty has been taken ,for such evil. Thank you for doing a good job!!! R.I.P. Diesel. RIP, Diesel. Prayers go out to your family and friends. Thank you for your services against terrorist cowards. RIP, ami, victime de la folie des hommes. Splendid dog, what a pity, I really felt disturbed whien I heard of the news. Dogs have this propension to let us express our humanity.. She was brave, she will most probably be heavily missed, but still stay beloved for ever. Rip Diesel. Brave dog, brave officers, cowardly killers. I am so proud of Diesel, yet angry he was lost. The bravery of Diesel to do just as he was trained to do, knowing no fear. Rest Peacefully with all of the other brave police dogs around the world. God bless you, Diesel. May you rest in peace and enjoy your new home in heaven! Que Dieu te bénisse, Diesel, avec tous tes courageux collègues humains. 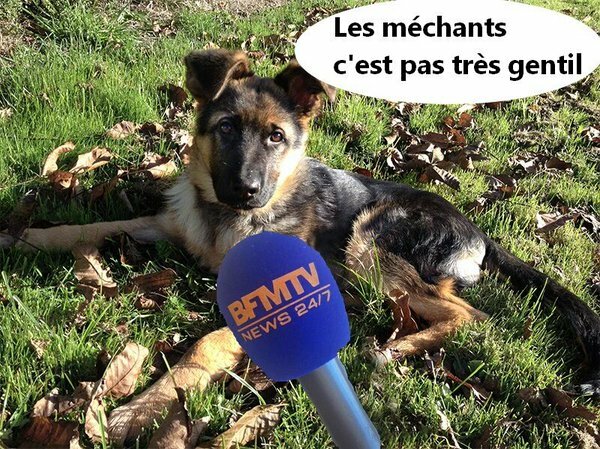 Comme on dit aux États-Unis, "good boy." Repose-toi en paix, loin de la violence de notre monde. this is so sad, such a beautiful and brave animal, you will always be remembered. RIP Diesel...your handler will see you again at the Rainbow Bridge. RIP Diesel. Enjoy your time in the Rainbowlands. RIP Diesel you are the best of the bunch! May God take care of you now. Cowards were hiding. why did they send him in if they knew these cowards were hiding? Diesel would have been alive today. Sea como sea, amo a los animales. 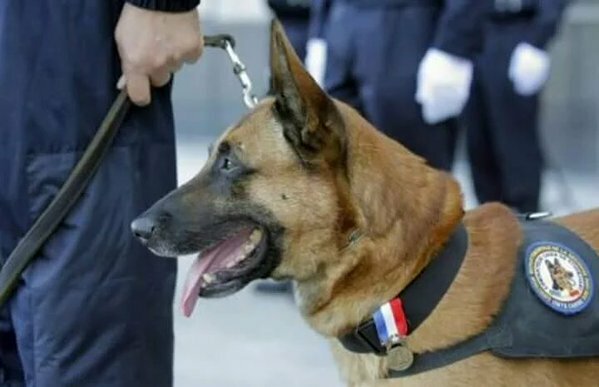 what a faithful loyal dog who gave his life not only to protect his handler and make Paris safer for everyone. A true hero. What a brave good dog that died to keep others free from Tierney. May Diesl Rest In Peace in doggie heaven. I am so proud of this dog! RIP diesel..i know you are with god now, and guiding us..
My heart goes out to Diesel. This is so sad. Time to stop putting living being's lives on the line and start using armed drones in to access these dangerous situations. Send them in and then blow them away or arm them to explode when they find them. It was a suicide mission. It was obvious the filthy terrorists had explosives and such. They should have just leveled the place. Diesel died for no good reason at all. RIP Diesel. My heart goes out to you and all who knew and loved you. May you have a wonderful time in Heaven. ---As I am deeply saddened by the loss of human life, I am also saddened by the loss of Diesel. With a heavy heart I ponder the use of the word "humanity" which meaning is usually related to the good that humans do. I never lose sight of the fact that the evil perpetrated by humans is also "humanity". "Man's inhumanity to man" is an inane statement.